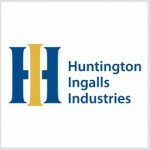 Four Virginia representatives observed construction and production efforts at Huntington Ingalls Industries' Newport News Shipbuilding facility on Friday during their shipyard tour. HII said Monday its shipbuilders met with Reps. Bobby Scott, Rob Wittman, Elaine Luria and Denver Riggleman to discuss ongoing projects such as USS George Washington refueling and complex overhaul, USS Gerard Ford post-shakedown availability and Los Angeles-class submarine maintenance. The meeting also included construction work on John F.Kennedy and Virginia-class submarines. All four lawmakers witnessed several of the company's capital investment and digital transformation programs at the facility. “We are pleased that our congressional partners took time out of their busy schedules to visit our shipyard,” said Jennifer Boykin, president of Newport News Shipbuilding business at HII. "We look forward to working with them and hope they walked away with a better understanding of the skill and craftsmanship it takes to build our nation’s warships and the pride that our shipbuilders feel about our important work," Boykin added.